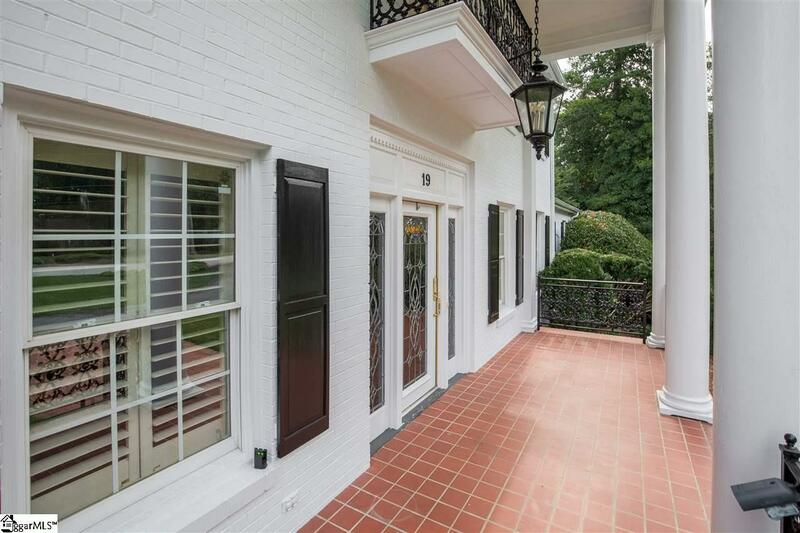 From the moment you pull up to this fantastic traditional colonial home you will fall in love with the curb appeal! Classic and charming sits on one of the highest and largest lots in all of the extremely sought after Botany Woods subdivision that has become a One of a kind neighborhood with wonderful community pool! 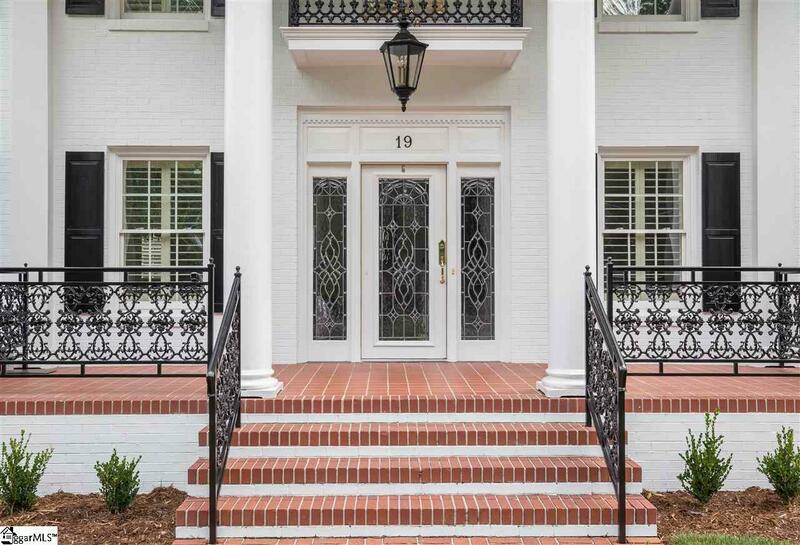 You will love the classic southern covered front rocking-chair porch as you enter through the custom wrought iron brick paver walkway from the convenience of your circular driveway surrounded by heavy landscaping, street lantern light poles and beautiful hardwoods! As you enter this home you will immediately noticed the upgrades from the extensive renovation that has recently taken place. The solid oak floors have been refinished and gleam with color from the natural light this home possesses. The open floor plan is both inviting and entertainment friendly as it flows throughout the main level with direct access to rear patio area as well. This luxurious home has room sizes that you will not believe to include a formal living room with gas log fireplace and custom built mantle, beautiful traditional molding, a formal dining room with chair rail molding, and additional family room on main level that makes a perfect home office complete with exposed brick wall and gas log fireplace. This room could also serve as an additional main level bedroom. 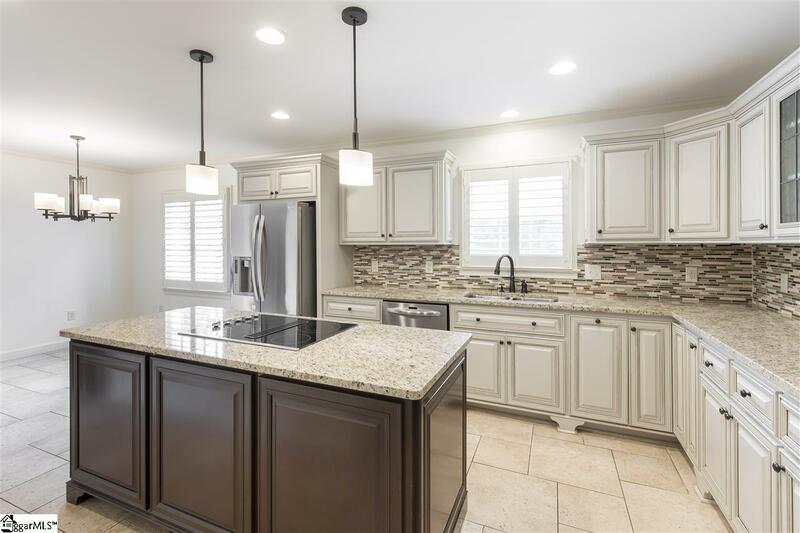 The kitchen has been gutted and now is a chefs dream with ample counter space to include a center island, new stainless steel appliances, custom cabinetry throughout with two glass exposure cabinets and an open shelving area. You would love the double oven during holidays. The kitchen has custom tile backsplash that coordinates with the granite as well as the custom travertine tile random pattern floor. The kitchen is open to a breakfast room and flows well into the main living area. This man cave that this home has is second to none in Greenville! Several features include elevated theater seating, super high-end surround sound which remains as well as a custom built drop down theater with JVC preference series main components. The man cave bar comes complete with ample seating, wine fridge, wet bar sink, icemaker, ample cabinetry and even your very own kegerator! There is a detached oversized two car garage with storage and workshop space. 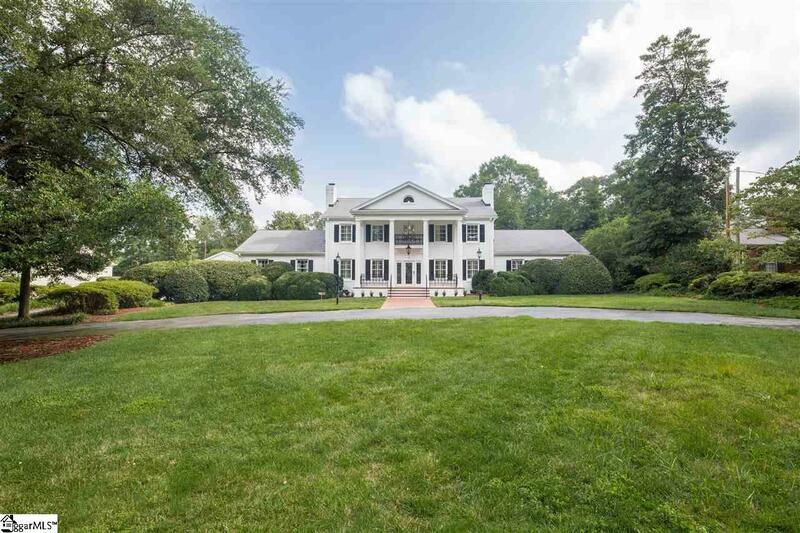 The rear yard is level and large in size complete with year-round privacy from the mature landscaping to include magnolias, azaleas, hardwoods, the list goes on and on The rear entertainment patio is perfect for families and friends! This home comes with a big bonus in that it has a custom 7k wine locker complete with custom wood panel door with glass exposure for viewing pleasure, ample wine storage upwards of 200 bottles and true temperature and humidity control! The master bedroom is on the main level and has built in wardrobes, large walk-in closet with custom California closet system, his and hers granite vanity, oversized Lasca jetted tub with custom ceramic tile surround to include backsplash, a walk-in ceiling height custom tile shower with six spray jets and rain head! You will not be disappointed upstairs with the size of the large bedrooms with two bedrooms sharing a jack and Jill bathroom and two bedrooms having their very own full bath rooms which is extremely nice for guests and larger families! Do not miss the walk-in storage off of front left Guest suite as it provides convenience for seasonal storage. Come see this beauty today!